Or, you can log in or sign up using Forbes. Divorce and death aren’t the only ways out of a marriage. There’s also annulment, which declares that a union never legally existed. No bitter court fights. No back and forth over alimony payments. No admissions of failure. An annulment wipes the slate clean. Legal annulments aren’t easy outs for disgruntled spouses. (Note: A Catholic annulment requires an entirely different process, including approval from the Church.) Courts will grant a divorce for lots of reasons, but to get an annulment, the spouse must prove that the marriage shouldn’t have been legally allowed in the first place. Courts will consider annulments if the marriage was never consummated or if one of the participants is determined to have been mentally incompetent at the time of the wedding. Unsuspecting victims of a bigamist are also eligible for an annulment. That’s how Zsa Zsa Gabor voided her day-long marriage (her eighth) in 1983 to Mexican actor Felipe de Alba. Turns out, she had never divorced her previous husband. Often, to get an annulment, one of the participants must claim that they weren’t in their right mind, so to speak. When a 22-year-old Britney Spears filed for an annulment of her 2004 marriage to Jason Alexander–the bride wore ripped jeans and a baseball cap to her early morning nuptials–her petition said “she lacked understanding of her actions to the extent that she was incapable of agreeing to the marriage.” Is that legalese for intoxication? Spears’ lawyer denies it. The Clark County Family Court granted the annulment two days after the couple tied the knot. Grounds for an annulment aren’t always public record. The same Vegas court that granted Spears’ annulment–we’re guessing the judge hears many such requests–annulled heiress Nicky Hilton’s Sin City marriage to money manager Todd Meister just three months after they tied the knot in 2004. The court later sealed the documents, leaving the legal cause of their annulment a mystery. It’s also unclear what the reasons were for Janet Jackson’s 1984 annulment from musician James DeBarge–though her age at the time (18) likely played a major factor. Annulments aren’t sure bets. In 2006, One Tree Hill star Sophia Bush petitioned for an annulment of her five-month marriage to co-star Chad Michael Murray. That request was denied, forcing the then-23-year-old actress to get a plain old divorce. And in an unusual move, a Las Vegas judge held a hearing in 2000 to prove the annulment request of Darva Conger, who married millionaire real estate developer Rick Rockwell on air during Fox Network’s much maligned reality show, Who Wants to Marry a Multi-Millionaire? The judge had stated that Conger entered a “very legal wedding ceremony,” but granted the annulment after Conger revealed she knew nothing of a restraining order against Rockwell once filed by his former fiancée. Tune in to E! for Forbes’ 10 Most Expensive Celebrity Divorces on April 14 at 6 p.m. Eastern. Check your local listings. Would $100,000 Boost Your Business? Click here. 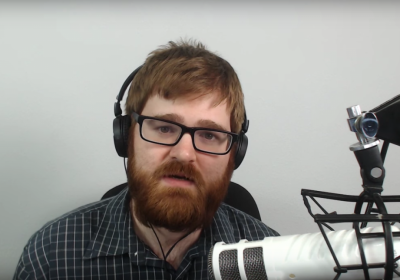 Internet troll Charles "Chuck" Johnson is helping to pick members of the incoming administration. © 2017 Forbes Media LLC. All Rights Reserved.